Thanks, Once Upon a Time, for taking one of the best couples of the series and tarnishing them permanently. Rumbelle is ruined for good, and here’s hoping they never get their happy ending. As painful as it is to write that, it’s true. Based on tonight’s episode, there’s no going back to what once was between these two. How can both fans and Belle forget how awful Rumple has become? He now has spun himself a gold cuff, which he clasped around Belle’s wrist. Basically, it’s a handcuff that prohibits Belle from ever escaping him, protecting their child from his horrible father or getting away from Storybrooke and Rumple once and for all. He can now keep an eye on Belle for being a bad little girl and not doing as he says. Obviously, that last statement is heavy with sarcasm, but that’s pretty much how it is now with these two. Really? He will forever be the Dark One, won’t he? Yes, Rumple has always been controlling, but he’s taken it to a whole new level. Furthermore, the “controlling beast” who is Rumple has become a repetitive storyline that needs to end here and now. We get it. He’s supposedly fighting and/or embracing his inner beast, depending on what’s happening currently in his life. The beast is who he is and possibly who he will be forever. Not to mention that he will also probably do whatever it takes to ensure he gets what he wants until the day he dies. It’s unfortunate that this is what’s become of Rumple because it’s about time for him to change — and not just for himself, but for Belle and their son. He keeps going backward rather than forward, and aren’t characters supposed to grow? Sorry, Rumple, but that doesn’t seem to be the case for you. Speaking of not growing, the control he has with this new gold cuff on Belle’s wrist is Rumple’s way of pretty much silencing Belle’s voice, wants, needs, independence and free will. Like Rumple’s story, which has gone downhill, this is the storyline Belle is getting? Yes, she is still very much speaking her mind and fighting her best against the man who supposedly loves her, but all of the power is being placed in Rumple’s hands and it’s frustrating. Give Belle back the power, OUAT! It’s about time she stands front and center in her storyline as an empowering figure and not the woman who is being controlled by a man — again. It’s boring, archaic and tiring. She truly deserves so much better than this. Speaking of deserving better than what’s being dealt in Season 6, it’s a disservice what is happening to Rumbelle. His actions are not romantic. Are we supposed to swoon over this Rumple and be like, “That’s just who he is, it’s OK”? Absolutely not. His control is not swoon-worthy, and it never will be. Obviously, fans agree. Clearly, when OUAT returns in two weeks, Rumple is going to be just as horrible as he has been so far this season, and all of the proof is in the promo. At this point, there is no saving Rumbelle. It’s unfortunate that it’s come to this, but those are the cards that have been dealt. More likely than not, Rumple will somehow “redeem” himself in Belle’s eyes (but probably not in fans’ eyes) and they’ll get their happy ending. Though let’s hope that doesn’t happen. 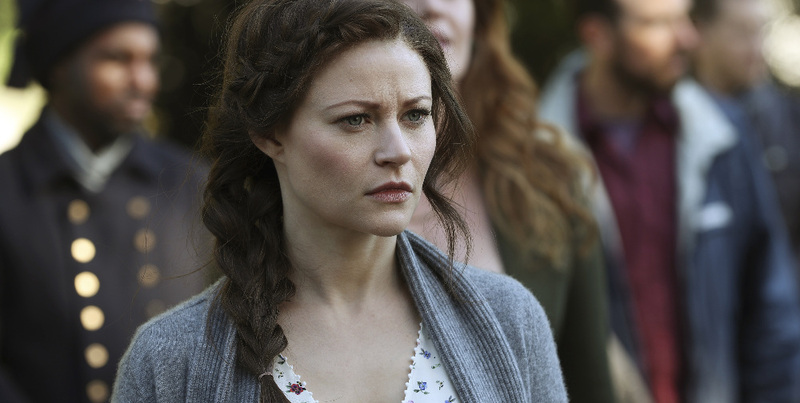 How can anyone want Belle to be with Rumple, who really is a horrific, controlling beast? There is nothing he can do to redeem himself enough for many viewers to support Rumbelle ever again. What OUAT can do is to give Belle back at least some (if not all) of the control that the show has unforunately placed all in Rumple’s hands, all while allowing her and her child to live a carefree, happy life without Rumple by their sides. Again, thanks, OUAT, for ripping Rumbelle to shreds and causing fans to hate them as a couple. Yeah, that’s not how shipping works. Here’s hoping Snowing and Captain Swan don’t get completely ruined, too. Once Upon a Time returns in two weeks on Sunday, Nov. 27 at 8/7c on ABC.